With over 12 lakh migrants from Telangana and Andhra Pradesh, the two Telugu states of India, living outside the country, the government found it necessary to ensure their welfare and help them with various issues. The government of Telangana announced to set up two separate bodies for Telugu Diaspora and other migrants from the state. The NRI policy drafted by Telangana government seeks to establish two centers: Non-resident Telanganites’ Affairs (CENTA) at the state level and District Non-resident Telanganites’ Affairs (D-CENTA) at the district level. The policy will be introduced in the Parliament of India during the budget session 2017. Both bodies for the welfare of Telugu Diaspora will act as think tanks to work on various measures from employment to migration to rehabilitation of the migrants from the state. Telangana’s Ministry of NRI Welfare will be heading CENTA at the state level, and a chief executive office will be providing all the support to it. District collectors of the state will be at the helm of D-CENTA at the district level. CENTA and D-CENTA will be working to the interests of Telugu Diaspora in coordination with the heads of Telangana government’s several departments including general administration, labor, tourism, industries, information technology, and Telangana Overseas Manpower Corporation (TOMCOM). These two bodies of Telangana government, once approved and created, will work on various schemes of rehabilitation for the non-resident Telanganites on their return to home. They will study and analyze international job markets to explore employment opportunities for the skilled and semi-skilled people from Telangana. Telangana government’s NRI Policy also proposes to create a separate group, ‘Blue Collar Migrants,’ for the skilled and semi-skilled migrants of the state working in Malaysia, Myanmar, Singapore, Fiji, Mauritius, Canada, USA, and the Gulf region. The ‘Blue Collar Migrants’ group will look after their needs and educate them on the emerging immigration issues. A few other groups will also be created to connect with entrepreneurs, investors, students and professionals in Telugu Diaspora the world over. Previously, Pravasi Telangana Divas, an annual event for Telugu Diaspora, was proposed to invite eminent leaders from the NRI Telugu community and connect them with various development schemes of the state. Telangana government’s NRI Policy is expected to bring a relief to those migrants who are often duped by immigration brokers abroad. Furthermore, a district-level database of the migrants from Telangana will be maintained. CENTA and D-CENTA will also cater to the needs of Telugu students pursuing higher studies outside India. 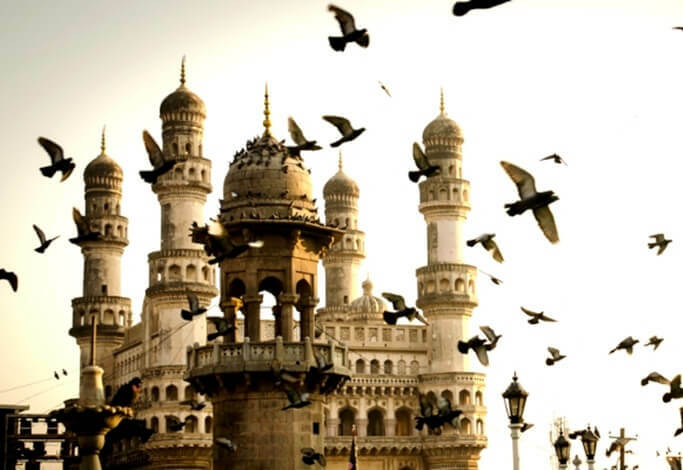 Notably, Hyderabad sends India’s second highest number of students to USA.